This month we take a look at a wide range of different findings in the field of sports science. To begin with, we have a consensus statement on immunity within athletes, followed by papers examining issues such as the best exercise for hamstring strength, postactivation potentiation, overtraining, readiness to train, as well as a quick fire round up to finish. As always, the full Sports Science Monthly is available exclusively to HMMR Plus Members. The first overview below is free to everyone, but sign up now to read about all the research. 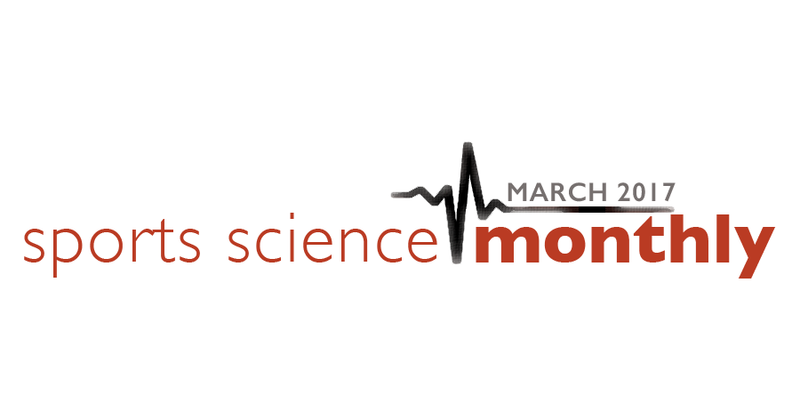 To get an idea of what Sports Science Monthly is all about, the April 2016 edition is available in its entirety for free. → Quick Summary: Exercise can reduce immunity, and this effect can be magnified in athletes with high training load, stress, and long travel commitments. There are a number of nutrients that can mitigate this loss of immunity, although the key aspect is for athletes to consume a diet high in nutritious foods. I’m sure most people involved in sports science understand the relationship between exercise and immunity, as it’s taught on most degree courses. However, if you’re not from a sports science background, then the key thing you need is know is that the relationship is a fairly typical “inverted U” one. This means that at low or high volumes of exercise, immunity is suppressed, whilst at moderate exercise stimulates immune function. Placing this into context for athletes, this population tend to be found more towards the “too much” end as opposed to “too little” end of the training volume continuum. Added to this is the fact that athletes quite often have to travel across time zones, especially to competitions, which can also reduce immune function. As I’ve mentioned previously in these columns, athletes also tend to have less than ideal sleep practices, which can suppress immune function. Taken together, it’s clear that being involved in high-end athletic performance likely predisposes an athlete to an increase chance of illness. This news is not ideal, especially around competitions. I’ve had to compete at two major championships with an upper respiratory tract infection (URTI, or a common cold), and it isn’t a nice experience; it’s hard to compete at your best when your muscles ache, your throat hurts and your nose is blocked. Managing, and even improving, immune function is therefore a useful endeavour for athletes and coaches. Carbohydrates – These fuel the immune cells, and can minimise some of the immunosuppression seen after hard exercise. Their ingestion during exercise (30-60 grams per hour when exercise lasts longer than one hour) seems more effective than increasing total daily intake – another example of how targeted carbohydrate intake can be very useful, and how very low carbohydrate diets are potentially not ideal for elite athletes. Omega-3 – These fatty acids, most commonly found in fish, have been shown to decrease inflammation and soreness. Omega-6 is likely a pro-inflammatory, indicating that it’s intake should be reduced, especially when compared to omega-3. Protein – If total protein intake is sufficient (around 2 grams/kilogram of body weight), there appears to be no benefit from further protein ingestion. Glutamine intake appears to have no effect on immune function, particularly when total protein intake is sufficient. There is weak evidence supporting the use of BCAAs in prolonged exercise, although it’s worth pointing out that there are no negative effects from this, so it might represent a worthwhile strategy during times of immune stress. Minerals – Zinc, magnesium and iron all support immune function, and care should be taken to ensure that they are present in the athlete’s diet in the correct amounts. In non-deficient athletes, supplementation appears to have no positive effect on immune function. Antioxidants – there appears to be no improvement in immune function or reduction in illness with antioxidant supplementation, particularly if the athlete’s diet is providing sufficient amounts. Regular readers will be aware that high dose antioxidant supplementation potentially blunts exercise adaptation, so it’s probably worthwhile steering clear of these supplements. Herbal supplements – there is some evidence supporting the use of echinacea. However, herbal supplements are poorly regulated, and can increase the chances of a positive drug test. Nutrients found in foods, such as polyphenols, contribute positively to health, and may also support immune function. These can be found in coffee, tea, chocolate, fruits, and wine – things that most of us enjoy consuming! Probiotics & Prebiotics – these likely have positive effects on immune function, and this effect has also been shown and replicated in athletes. Bovine Colostrum – personally, I always found this stuff to be amazing; the research, however, is less clear, with the effects on immune function currently inconclusive. Vitamin D – I’ve covered vitamin D a lot in these columns over the past year. This consensus statement indicates that a target concentration of >75 nmol/l within the blood is likely optimal for athletes. This can be obtained through sun exposure during the summer, or vitamin D supplementation of up to 4000 IU per day during the winter – if levels drop below 75 nmol/l. The key point from this consensus statement is that maximisation the intake of these nutrients from the athlete’s diet is crucial. This would be through consuming a wide variety of fruits and vegetables, meat products for iron and zinc, oily fish, probiotic foods such as fermented products and blue cheese, prebiotic foods – which are usually those containing a lot of fibre, and foods high in polyphenols. On top of this, it is important that the athlete consumes sufficient protein and carbohydrate, especially during periods of increased stress, be that from training, travel, or competition.